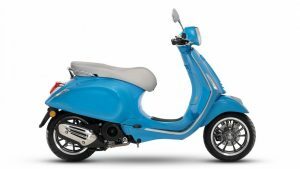 50th Vespa Primavera Anniversary Model - Scooter Central | Your One-Stop Scooter Shop! The first version of what would become a timeless classic arrived in the market in 1968 and was a revolution: small, agile, driven by a brilliant engine, Primavera put wings on several generations and remained uninterrupted in production until 1982, becoming a model mythical but also one of the most resounding commercial successes in the history of Vespa. Series of updates that increase its comfort, safety and renew its style. 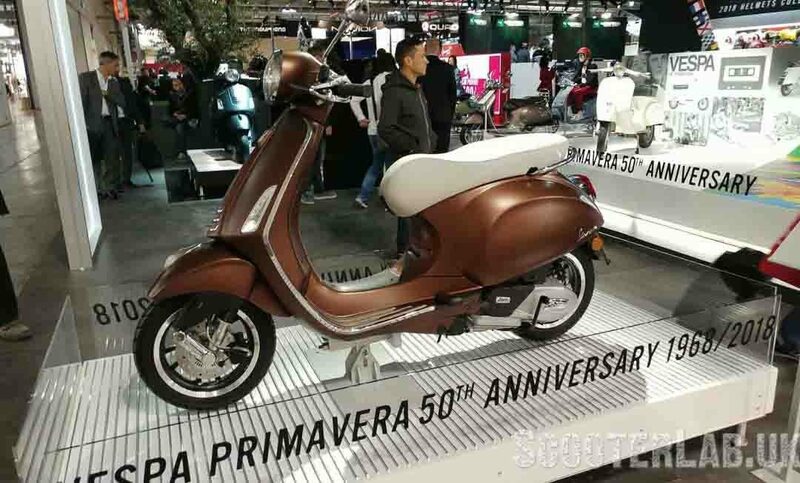 Today Vespa Primavera has all the values ​​that, half a century ago, made it a success. 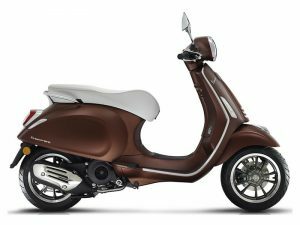 Young, innovative, technologically advanced, agile and dynamic, attentive to the protection of the environment, Vespa Primavera is the protagonist of its time, inheriting all the freshness and joy of life of its progenitor. The most important innovation comes from the size of the wheel rims : made of aluminum alloy and distinguished by an unprecedented five-spoke design, now they are both 12 “ thus reaching the largest diameter in the history of Vespa. This results in more stability, more security, greater hold on all funds and in all road conditions. Active safety also grows thanks to the LED lighting technology now adopted by both the front headlight and the rear lights.